The view today is pure aloha magic at the Mauna Kea Beach Hotel, about 30 miles up the road from Kona. We were wide awake about 4:30 because of the difference in time zones (and our early to bed from the 27 hour day yesterday mixed with Mai Tais!). The room was quiet and comfortable and Bub was delighted to get a Tennis channel. By 7 AM, we were ready to start the day with a tennis match on these seaside courts. The Pro Shop doesn’t open until 8. 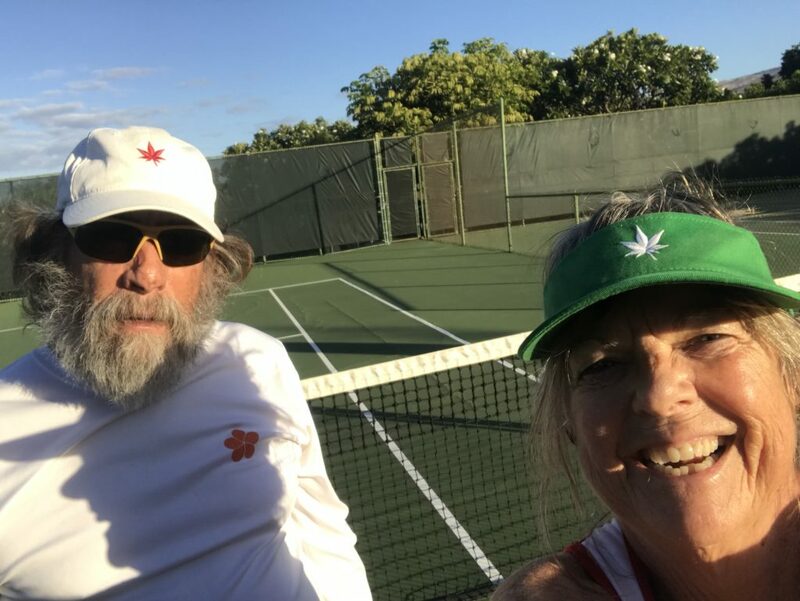 We and two other couples were the early birds to these 10 courts. I played strong. The weather was absolutely stunning–a Goldilocks day: not cold! not hot! just perfect. Bub wins, however, this first match of 2019 with 6-4. The Mauna Kea Beach Hotel, as impressive today as it was when it opened in 1965 by visionary Laurance S. Rockefeller. 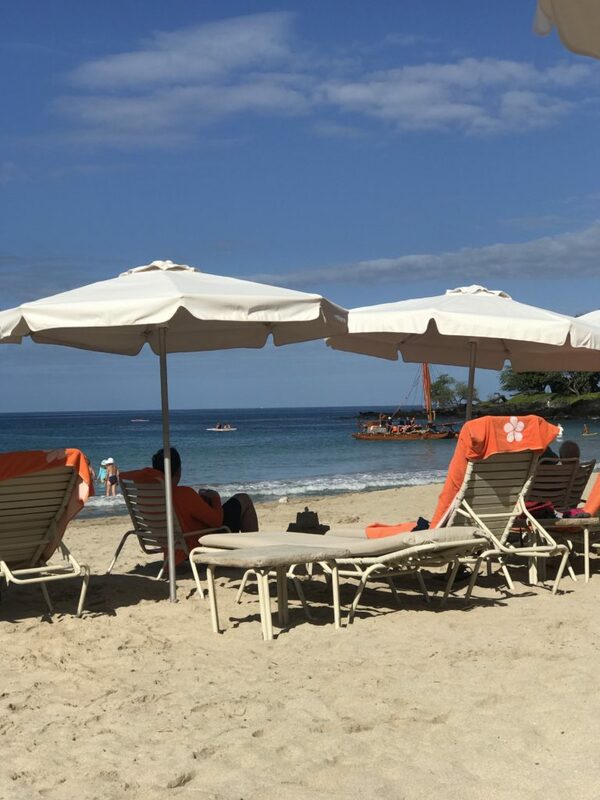 We treated our muscles to a dip in the hot tub… And, then down to the perfect white sand beach to spend the morning listening to the sea roll in as we relaxed on bright orange towels.